Did you know this about Soybeans? You are here: Home / District News / Did you know this about Soybeans? 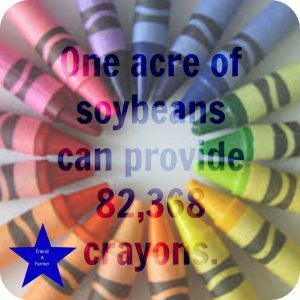 Did you know one acre of soybeans (approximately the size of a football field) can provide over 82,000 crayons?